Periodontal disease, also known as gum disease, is one of the most common and damaging dental problems in the entire world. It is a bacterial infection of the gums and bone that surround your teeth, and left untreated, it can cause chronic bad breath, tooth loss, and dramatically increase your chances of suffering a stroke or heart attack. Thanks to our in-house periodontist (gum-specialist), Dr. Melody Ward, you can trust that your oral and overall health will always be well taken care of at Conklin & Ward Dental Group. We’ll screen your gums every time you come to see us so if there is a problem, we can use comprehensive periodontal therapy to quickly take care of it. If your gums are red, tender, or bleed often, be sure to contact us today. A scaling and root planing treatment, also known as a deep cleaning, is the gold standard for periodontal therapy. With it, we’re able to break up and clear away the plaque and bacteria that has gathered along your gum line as well as lower your chances of developing gum disease in the future. With scaling, an ultrasonic cleaner will be used to remove plaque and tartar deposits built up on your gum line, and then root planing will be used to gently smooth out the rough surfaces of your teeth’s roots. 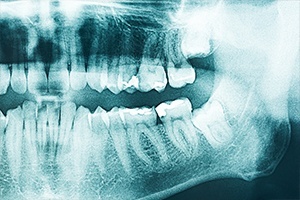 This will make plaque less likely to gather on them in the future, lowering the chances of infection. Depending on the extent of your gum disease, a complete scaling and root planing treatment can usually be completed over the course of a few appointments. In all cases, we’ll use local anesthetic to ensure that you’re comfortable the entire time. Gum recession is one of the most common symptoms of periodontal disease, and it cannot only negatively affect the appearance of your smile, but it can also make your teeth more likely to develop decay and eventually fall out. We can help restore your gum line using something called a gum graft, in which Dr. Ward will take a small portion of healthy tissue from the roof of your mouth (or donated tissue) and place it on the area where your gums have pulled away from the teeth. After a few weeks of healing, the donated tissue should completely integrate with the rest of your gums. She can also perform a bone grafting procedure to restore the strength, height, and thickness of your jaw in areas where the bone has resorbed due to tooth loss. Using either your own bone or a lab-made grafting material, she can build up the specific spot in your jaw in order to make you viable for a tooth replacement such as dental implants.